Short Run Forms is always looking for great people to add to the team. The company is growing and seeking employees for various positions. The employment page shows opportunities and positions that you can apply for at any time. Experience in printing and working on machinery is definitely preferred, but Short Run Forms will also train. Working at Short Run Forms is an excellent opportunity for you. Short Run Forms offers a competitive salary and very good Medical Benefits. Pressman is considered one of the most important positions in the shop. 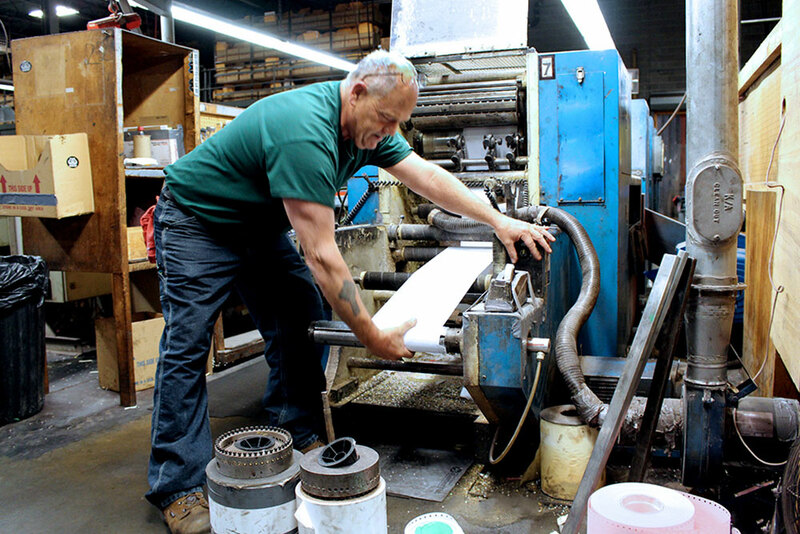 The Pressman is the actual person controlling the printing process onto the blank paper roll. The Pressman position is fast-paced with a busy workload. Volume is necessary, but quality is more important. Pressman must pay attention at all times. Critical factors need to be monitored or altered that can affect the printing. 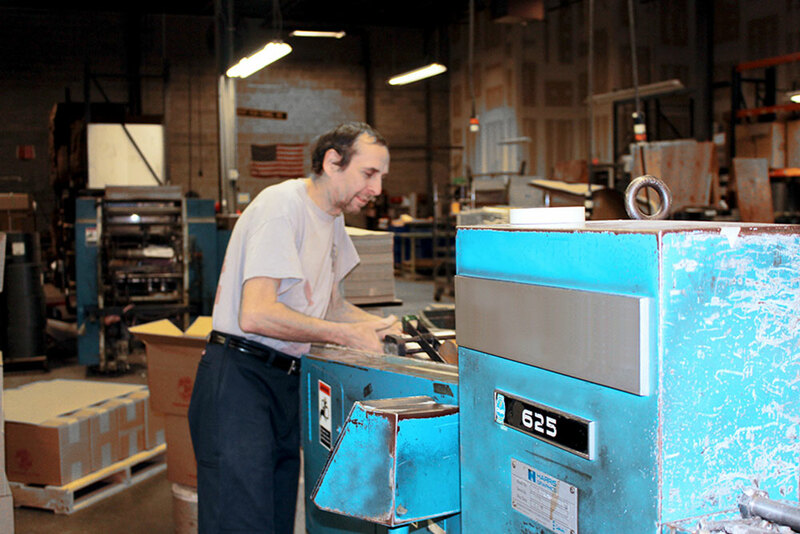 Short Run Forms has an in-house machine shop and a crew to fix concerns on site. The Pressman will learn how to operate maintain a press machine. It is essential for the Pressman to make a smooth transition to the next shift. A collator is a machine that takes multiple rolls, collates, perfs, glues and cuts them into individual forms. The operator has the important task of planning an entire days work. The finished product must come off the machine and go to bindery for its finishing touches. Then it needs to get shipped out on time. Some collators may require a helper. A helper assists the collator operator with small tasks to keep the collator machine running smooth. The operator is also in charge of maintaining their machine. A smooth transition is expected to the next shift. A collator helper assists the operator in a number of ways to keep the speed of the machine at a higher pace. Helpers start by lining up the rolls for the entire days work to help with more efficiency when starting the next job in line. A helper learns to read job tickets and understands how the forms are put together. Helpers will also help tape on rolls, make boxes, cut chipboard and bring over all completed jobs to shipping. This position provides great learning opportunities. In order for the pressman to start one job right after the previous one gets completed, they need to have their paper ready for the next run. This is where the paper stock person comes in. The Paper Stock person will be trained to know everything about the various paper stocks we carry whether it be weight, color, size or grain. 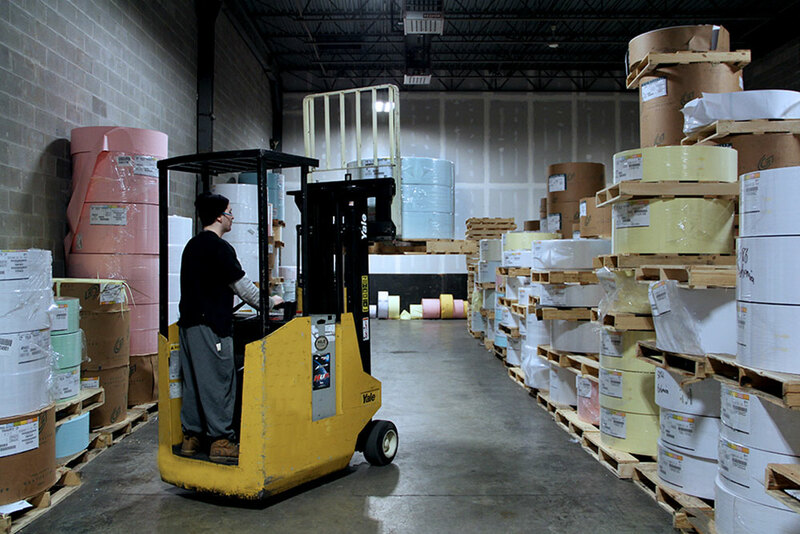 The Paper Stock person will have safety training on how to operate a motorized forklift. Additional tasks may include helping the office check on paper stocks and mixing inks for the presses. 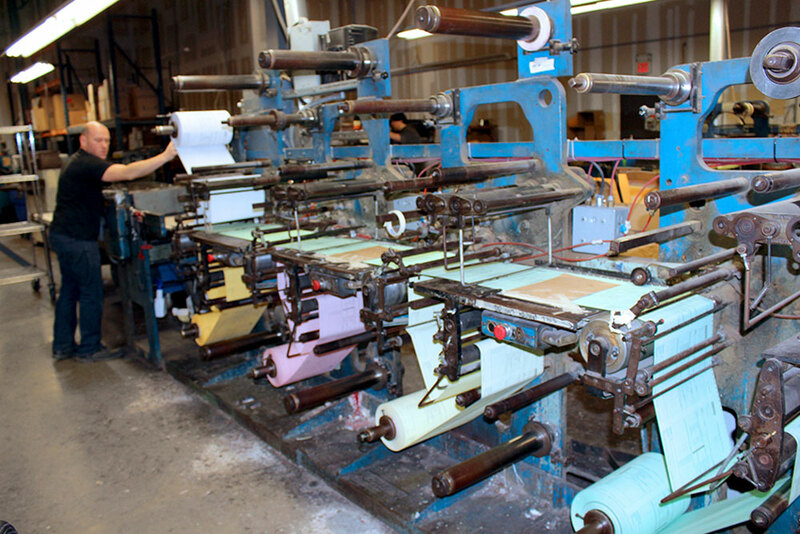 The Bindery department operates all types of finishing machinery. 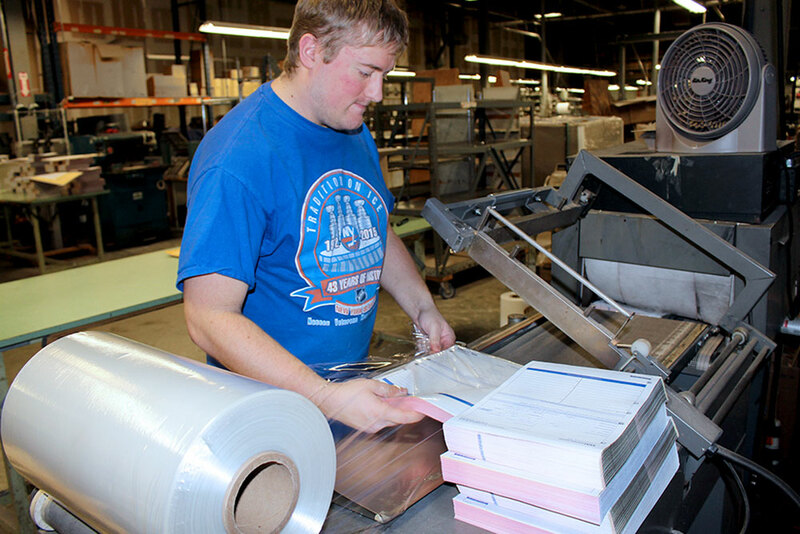 Bindery is the area where jobs are brought when they require finishing touches. Tasks would include making and folding book covers, cutting, shrink wrapping, drilling, stitching/stapling, cutting chipboard, making boxes and much more. The bindery position is definitely one where you will learn a lot about how forms are completed.